Steve’s breakdown: Remember that “White Is Purity” Facebook campaign the brand did this spring? Well, it seems Nivea has yet to get a new agency after that disaster. Totally worth checking into. Check with Jennifer Delaney at jennifer.delaney@beiersdorf.com She’s the Director of Marketing, Nivea Body Wash and Men’s Care. WILTON, CT: Nivea has pulled a deodorant ad that declared “White Is Purity” after people called the slogan racist and after some hijacked the ad’s online campaign with comments about white supremacy. Debt is often viewed as a four-letter word in business. But the right kind of debt can fuel growth, allow for expansion, and be the difference between winning the day or missing out on the deal. The post was quickly condemned by people who saw it as promoting racist rhetoric. Another Twitter user posted images of racist comments that had been left on the Facebook post, some referencing the Holocaust. Still others appeared to praise the ad — citing the same reasons. “Is Nivea, dare I say, /our guy/?” one 4chan user wrote, referring to supporters of white supremacist groups. Nivea has since deleted the Facebook post, though images of the ad are still widely available online. Metro UK reported that the post remained publicly visible over the weekend and was removed Monday only after the news outlet inquired about it. Representatives for Nivea’s parent company, Beiersdorf Global, did not immediately respond to an email request for comment Tuesday. However, the company did spend time replying to people on Twitter who were outraged by the ad. An earlier “invisible” ad declaring that “Black Stays Black. White Stays White” was still on the Nivea Middle East Facebook page as of Wednesday morning. In 2011, an ad for Nivea for Men products came under fire for depicting a cleanshaven black man holding a disembodied head with an Afro — presumably his former self — and getting ready to toss it away. Adweek noted there was a corresponding Nivea for Men ad that showed a white man holding his own disembodied head, but that one didn’t include the “re-civilize yourself” slogan. 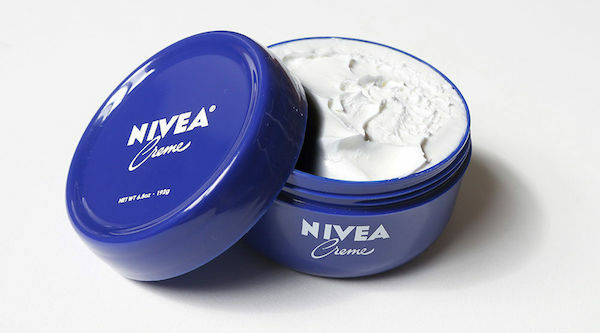 Outrage over the campaign forced Nivea to publicly apologize on its Facebook page.